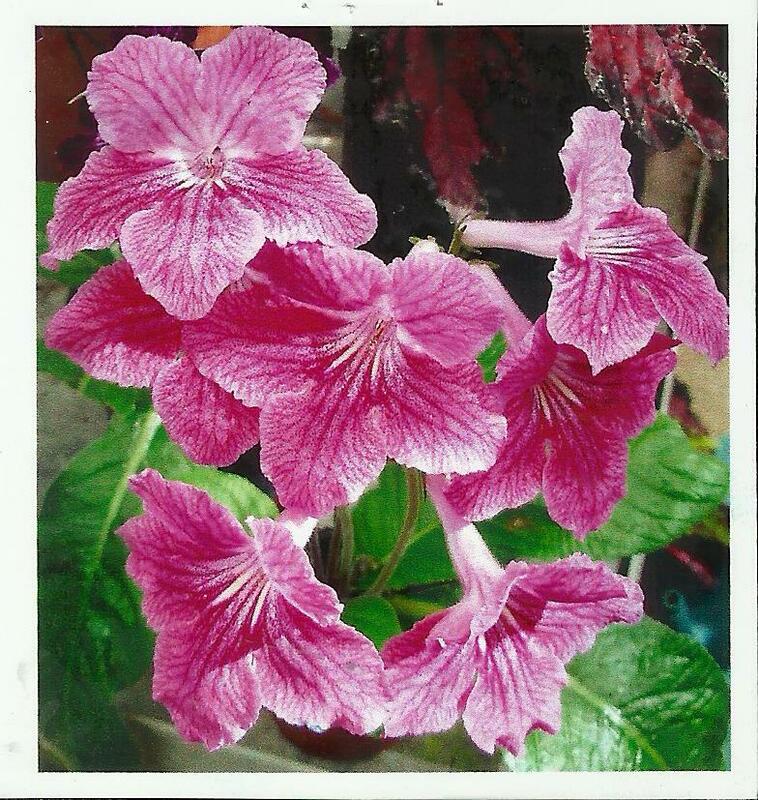 Streptocarpus ‘Pink Champagne’, 2012, IR121199, Kim Williams, UK. (S. ‘Double Delight’ x S. ‘Franken Ziva’). Cross made and planted 2011, first flowered 2012. Reproducible only vegetatively. Medium sized rosette. Leaves medium green, 10 in. long x 4 in. wide, lanceolate with serrate margin, acute tip and cuneate base. Calyx green, split. Peduncle 9 in. tall with 2 flowers. Corolla salverform, 2.5 in. long x 2.5 in. wide, bright pink with darker veining over the whole flower.